OUR FLUID ANALYSIS PROGRAM IS A THOROUGH, RELIABLE AND EFFICIENT WAY TO SEE WHAT IS GOING ON INSIDE YOUR ENGINE. We use independent labs to analyze and test used fluid samples from your equipment for metal wear rate, contamination, and chemical breakdown. Our technical staff is trained to interpret the test results to detect potential problems before they become major failures. 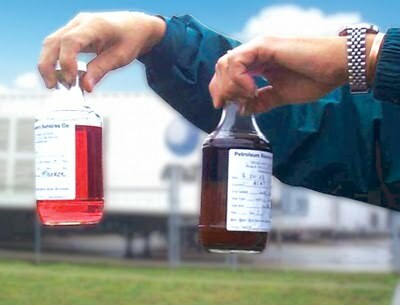 We offer fluid analysis services for engine lube oil, engine coolant, and diesel fuel. Easy to interpret analysis reports help detect problems early, monitor component wear rates, and develop a complete service history. Periodic oil and fluid analysis will allow you to develop a complete history of your engine and detect many problems before they cause major damage to your equipment. To learn more about our fluid analysis program, please contact us.